Baker, Paul and Dorman, a partnership of professional associations, is conveniently located in the Manatee Central Hotel Business Center, the oldest commercial building in Manatee County. Our firm provides legal representation throughout Manatee and Sarasota Counties, and in state and federal courts throughout the Tampa Bay region. We strive to provide quality, timely, professional legal services and advice to our clients. Laurie E. Baker, P.A. is an aggressive litigator focused on family law cases. Learn more about Ms. Baker’s family law practice by clicking here. 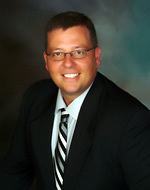 Loren M. Paul, P.A. is known for his compassionate approach to matters involving real estate and estate law. Learn more about Mr. Paul’s practice by clicking here. 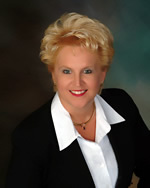 Lori M. Dorman, P.A. practices in the areas of business, contract and real estate law; commercial and consumer litigation; professional liability defense (personal counsel); probate and trust litigation; and noncompete/restrictive covenant litigation. Learn more about Ms. Dorman’s practice by clicking here. To discuss your legal issue with Laurie E. Baker, Loren M. Paul, or Lori M. Dorman, call The Law Office of Baker, Paul, and Dorman today at (941) 747-0888 or contact the attorneys online. Baker, Paul & Dorman A Partnership of Professional Associations is located in Bradenton, FL and serves clients in and around Tallevast, Bradenton, Palmetto, Ellenton, Terra Ceia, Longboat Key, Sarasota, Manatee County and Sarasota County.